The NYX Gaming Group is one of the biggest online gaming entities in the world with a myriad of brands that range across a multitude of games including slots, sports betting, lottery, bingo, social gaming and more! With offices in Malta, Las Vegas, Stockholm, Sydney and London, NYX Interactive is truly a global player with some of the most famous gaming products in the world. The company’s most notable acquisition came in 2011 when it purchased up-and-coming Australian developer NextGen Gaming to augment its online slot portfolio. These days, NYX offers some of the best slots in the business with something it likes to call Omni Channel Delivery, which really just means its games are available for mobile, desktop and land-based casinos. NYX has a history of creating custom games for its casino partners so there’s a good chance you’ll find certain exclusive machines at one casino but not another. NYX has created over 300 different games over the years so there’s plenty to keep the average player busy for quite some time. Social gaming has also been a major point of focus on NYX and the company has built a great selection of games for free-to-play players. Solid software has always been at the core of NYX and its values. The company has developed software that’s capable of running on multiple platforms with a special emphasis on mobile gaming. The shining star of NYX’s core software is the award-winning NYX OGS (Open Gaming System), which is really just a fancy name for software that can be scaled and customized for a variety of online casinos. Due to that, NYX is able to make small tweaks to its software to allow casinos to offer unique games to their customers. The Open Gaming System has made NYX one of the premier choices for online casinos and the company now caters to over 200 different operators! As with most modern casinos, NYX is firmly entrenched in instant-play, browser-based games with support for both Flash and HTML5. Most casino developers (NYX included) are slowly shedding flash-based games in an order to get the multi-platform benefits of HTML5. The browser-based technology has been a game changer in the online casino world giving players the ability to seamlessly play across mobile and desktop platforms. NYX also has various sub-brands that help develop technology for table games so that the company has something for everyone. There’s very little that NYX doesn’t have its hands in when it comes to online gaming. The company offers a massive portfolio of games that includes slots, table games, bingo, sports betting, lottery, social gaming and more. NYX does so much custom work for casinos that you might find one game on a certain casino and not on other sites. It helps create unique options for operators. As with most online casino developers, slots are certainly the biggest draw and NYX has a huge selection of reels that number in the hundreds. Most of the games are operated under the NextGen brand so don’t be surprised if you see that listed next to the slot instead of NYX Interactive. 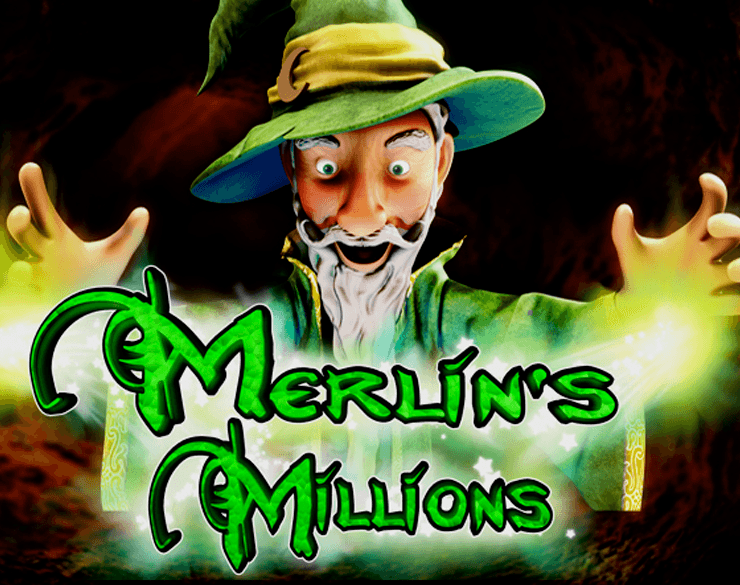 Some of the most popular games under the NYX umbrella include Merlin’s Millions, Renegades, Medusa II, A Dragon’s Story, Spin Sorceress, Wild West, Casinomesiter and Irish Eyes. NYX also has a large contingent of high-profile branded games including Superman, Justice League, The Flash, Green Lantern, James Dean, Psycho, Judge Dredd and more. Most of NYX’s games have a more traditional feel than some of the upstart Swedish slot makers who started in the early 2010s but old-school casino players will definitely appreciate the style. Surprisingly, there are still a large number of games on the NYX network that require flash so players should be aware that not every game is necessarily available for mobile play. Non-slots players will be happy to know that NYX also has a full assortment of table games. NYX is one of the older gaming companies so they’ve had a long history of developing browser-based table games. The company offers all the regulars including Blackjack, Baccarat, Craps, Roulette and Sic Bo but it also has some more unusual games like Six Shooter, Poker Dice, Spin Bingo, European Roulette, 7UP! and more. Thanks to its numerous partnerships and sub-brands, NYX offers a very compelling package for players who lean towards table games. NYX utilizes the Extreme Live Gaming brand for all its live casino needs. That means players can play against a real, live-streamed dealer in Blackjack, Roulette, Baccarat and more. Extreme Live Gaming’s studio is based in London and the dealers are both friendly and professional. It makes a surprisingly big difference to actually play against real dealers and croupiers. All of Extreme’s games are based in HTML5 so that means that users can actually play on mobile platforms, which gives people some much needed flexibility. NYX has a large sports betting operation under the brand Open Bet as well as bingo and social games. The company is so large and has so many brands under its umbrella that there are very few markets where it doesn’t compete. It also has a small online poker network. The NYX Gaming Group is a large overarching company that includes many brands and products including most notably NYX Interactive, OpenBet, and NextGen Gaming. Although the NYX Gaming Group is based in Las Vegas, Nevada, in the USA the company is truly a global one with NYX Interactive based in Stockholm, Sweden and NextGen Gaming based in Sydney, Australia. The company also has offices in London and Malta with thousands of employees to ensure a great gaming experience for all. NYX has been one of the busiest players in the online gaming market with a series of high-profile acquisitions and partnerships over the years. These days, NYX is one of the most complete gaming groups in the world with virtually no gaming stone left unturned with games ranging from all segments of the business including slots, table games, live casino, sports betting, bingo and more. The company offers high-end tech, straight from Sweden in addition to collaborative game design from around the world. There’s very little you won’t be able to find on NYX. Thanks to the company’s sprawling nature, it tends to be slightly confusing figuring out what games actually come from the company. A good start is to look for the NYX or NextGen Gaming tag! NYX is such a big brand that the quality of game tends to vary a great deal with some absolute knockouts on the platform but a few duds as well. Fortunately as long as a casino actually offers NYX then there’s a good chance you’ll never run out of games to play thanks to a portfolio of 300+ games.